The cornerstone of community policing, Citizens Police Academy, has been offered by UK Police Department for the past 13 years. More than 50 years later, law enforcement agencies have moved away from reactionary methods of policing and have concentrated their efforts to increase awareness and work together with their stakeholders. Through community policing efforts, members of the community can see past the badge and get to know police officers as individuals. The relationship between a community and its police department are as intertwined as notes of music and their accompanying melodies. To achieve King’s dream of transforming discord into a symphony of brotherhood, a foundation of trust and understanding must first be built to create harmony. The cornerstone of community policing, Citizens Police Academy (CPA), has been offered by UK Police Department for the past 13 years. 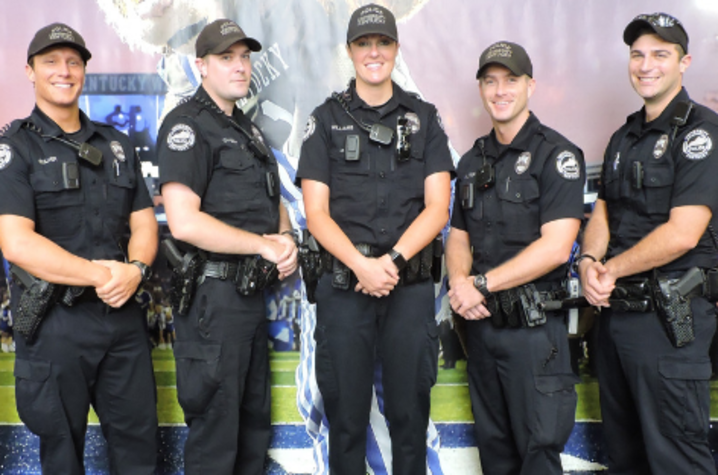 From across the Commonwealth, 25 classes of diverse individuals, from incoming freshmen wearing jeans to lawyers in tailored suits, have graduated from CPA with a stronger sense of safety and clarity of police duties and functions. Participants gain an enhanced understanding of why police stop certain individuals for questioning, what to expect during a traffic stop and how to prevent theft. Through a combination of lectures, visual materials and interactive scenarios, participants deepen their understanding of law enforcement with a shift in perception toward safety. Most importantly, they are given the opportunity to continue building relationships within law enforcement through their membership in the Citizens Police Academy Alumni Association (CPAAA). Applicants must be 18 and older and successfully complete a background check. Classes are held weekly, from 6-8 p.m. every Thursday, running Jan. 24-April 4 (with the exception of March 14 for spring break). Registration is currently open for the spring semester. To register, go to the UKPD Citizens Police Academy webpage at www.uky.edu/police/citizens-police-academy-1 and click the link under “Registration is currently open” near the bottom of the page. For more information about the UK Citizens Police Academy, contact Officer Amy Boatman at 859-323-7447.